The Barkan Method of Hot Yoga Level I 200 Hour Upcoming Hot Yoga Teacher Trainings: Apply Now! Thank you for your interest in the Barkan Method 200 Hour Hot Yoga Teacher Training, recognized by the Yoga Alliance. The Level I teacher training will be a transformational experience in your own practice as well as in the instruction of others. Jimmy Barkan has been certifying Yoga Teachers since 1986. 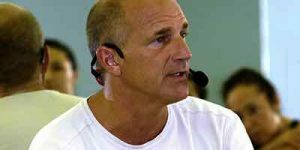 His extensive experience is what separates & distinguishes The Barkan Method Teacher Trainings! !